These lessons contain powerful insights and tools for wholeness based on the science of the body’s subtle energy system. It draws from the wisdom of the world’s spiritual traditions to show how you can nurture your soul through seven stages of personal growth. 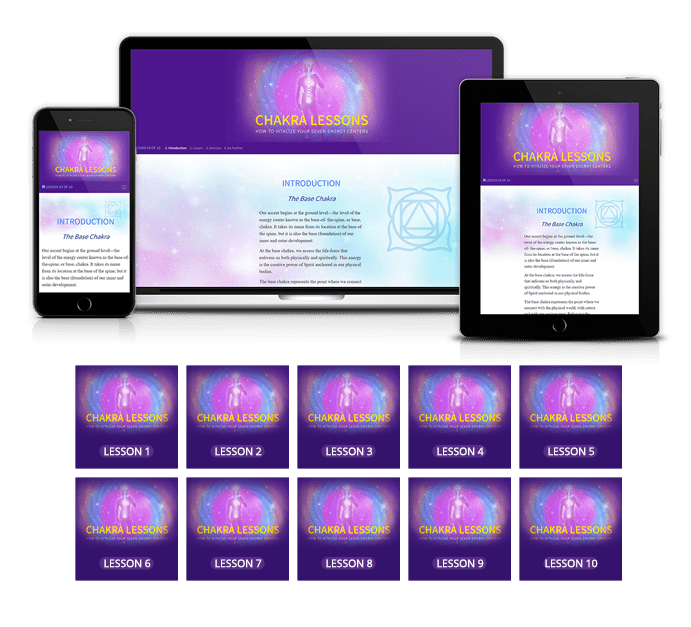 With each lesson you will learn how to activate, balance, cleanse and master the chakras with spiritual exercises, visualizations and mantras. Just enter your name and email address to access your free lessons and start to learn about your energy centers. 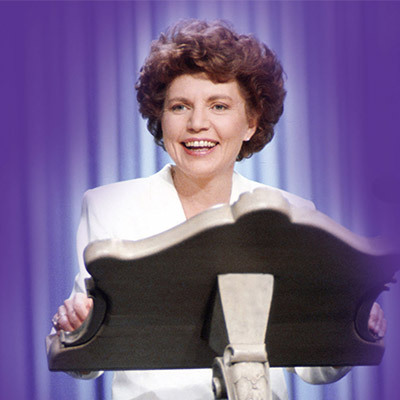 Elizabeth Clare Prophet (1939-2009) was a pioneer of modern spirituality and an internationally renowned speaker and author. Her books are published in more than 30 languages, and millions of copies have been sold online and in bookstores worldwide. Throughout her lifetime, Mrs. Prophet walked the path of spiritual adeptship, advancing through the universal initiations common to mystics of both East and West. She taught about this path and described her own experiences for the benefit of all who desire to make spiritual progress. Mrs. Prophet has left an extensive library of spiritual teachings from the ascended masters and a thriving, worldwide community of people who study and practice these teachings. In this lesson, you are going to learn about the seven major chakras from many of the world’s ancient traditions: East and West. You’ll learn the deep meaning and functions of the energy centers. This is the place of the Mother light. The color is white. In this lesson, you will learn how we connect with the physical world for our practical effectiveness. We will learn about how to strengthen our connection with nature and the divine feminine. Many people are learning about the Kundalini energy. In this and other lessons, you will learn more about how to safely raise the Kundalini Mother light. This is the place of freedom. The color is violet. This is where we experience Soul Freedom, where our soul conveys her impressions as intuition – a gut feeling, if you will. This is where we explore self-knowledge and self-forgiveness. This is the place of feeling and emotion. The color is purple and gold. In this lesson, you learn more how to control your “energy in motion” or e-motion. Do we radiate peace or anxiety? How do we pursue our desires without becoming unbalanced? When are we called to be selfless in the service of others? Every moment energy is flowing to us, and every moment we decide whether this energy will have a negative or positive spin on it. This is how we make karma. There’s a solution for the karma we make: the violet transmuting flame! This is the place of love. The color is pink. The Heart is the most important energy center. Not only is it the physical hub of life, it is also where the energies of God pass through before nourishing the rest of our body. This is the center of love, compassion and sensitivity. It comes under tremendous challenge. This Is the place of power. The color is blue. Here we begin to learn about the science of the spoken word. Learn how we can affect the world around us by our words. We also delve into reprogramming our subconscious. This is the place of vision. The color is green. Do you want more insight to see what is really going on? Purify your Third Eye and watch your world change. Illumination, divine wisdom. Access this energy with quiet meditation. Advanced teachings on how to seal and protect your chakras. Don’t miss this important step! Very needed to truly understand on an elementary level. The in-depth info on each chakra was great.